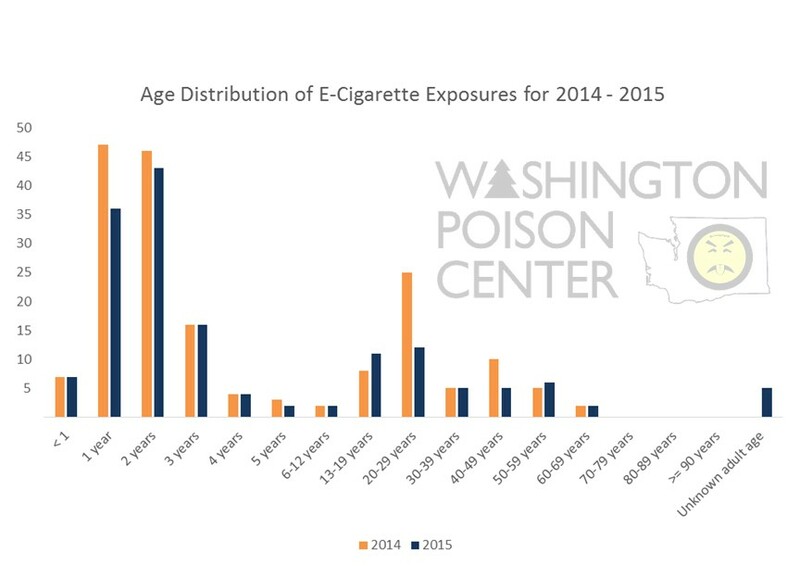 Initial reviews of our data in early 2015 captured exposures to products known to be available at the time, but as the number and type of e-cigarette products on the market is ever-changing, our national organization has recently updated its classification of e-cigarette exposures. As a result of the reclassification, this summary reports a higher number of exposures than previous quarterly reports in 2015. 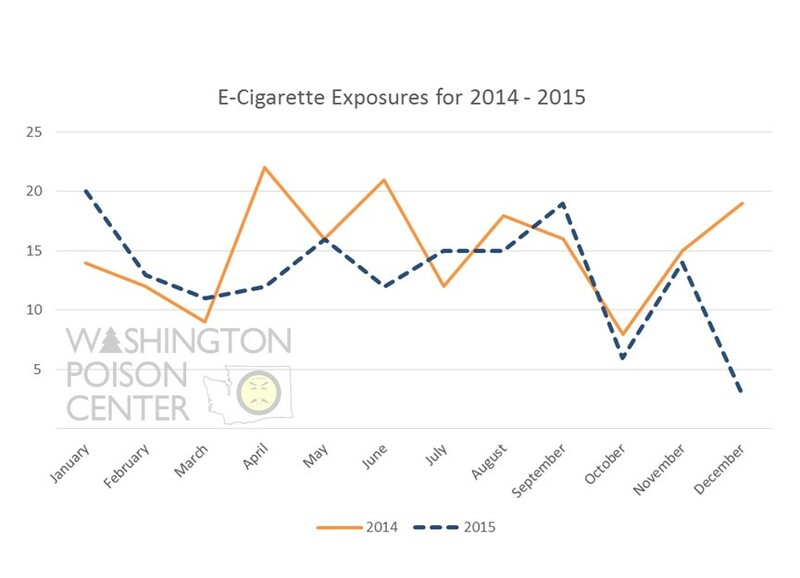 The Washington Poison Center (WAPC) saw a slight decrease in the total number of calls of e-cigarette exposures in 2015 (156) compared to 2014 (182). Despite the overall decrease in calls, children ages 1 – 3 years still remained the most affected group among WAPC calls (60% of total calls). 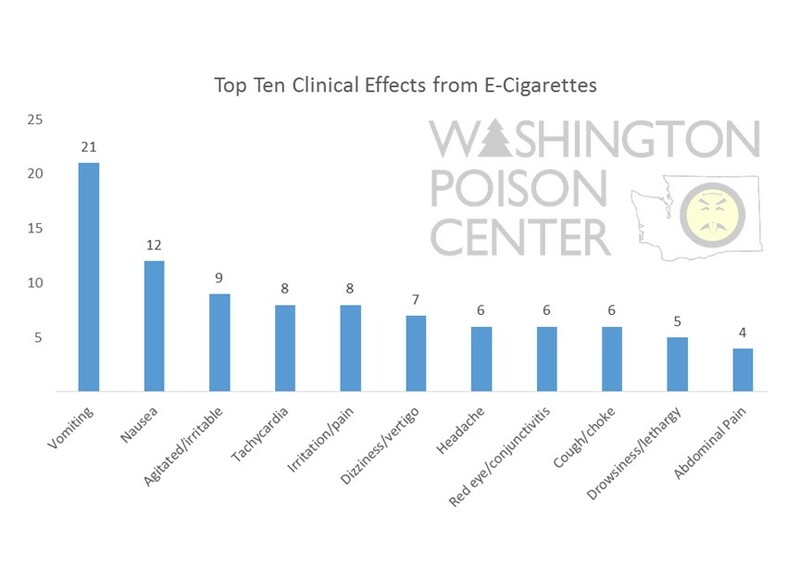 The most common clinical effects of exposure were vomiting and nausea and the majority of exposures could safely be managed at home with follow-up from the WAPC. 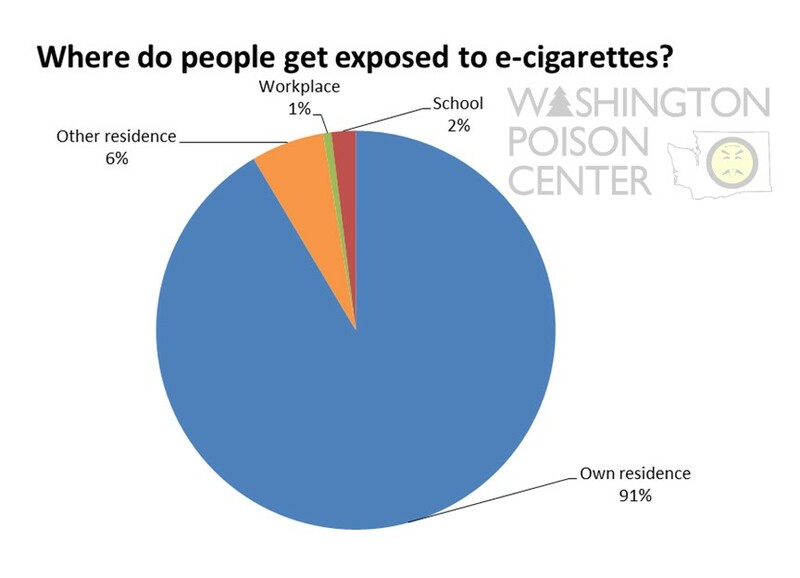 The majority of exposures occurred in the patient’s own home (91%), which suggests that prevention messaging and education should focus on safe storage, use, and packaging.